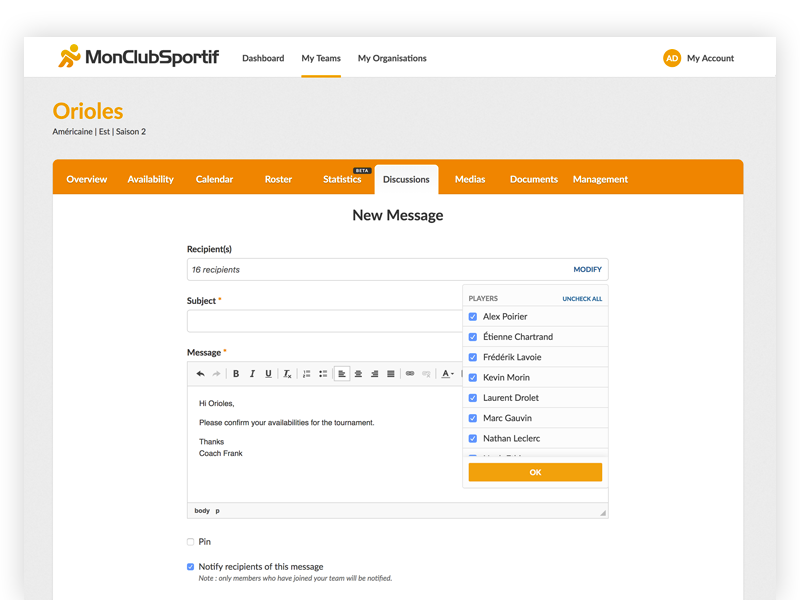 MonClubSportif is an app which facilitates and centralizes all aspects of communications, management and information in a sports team. 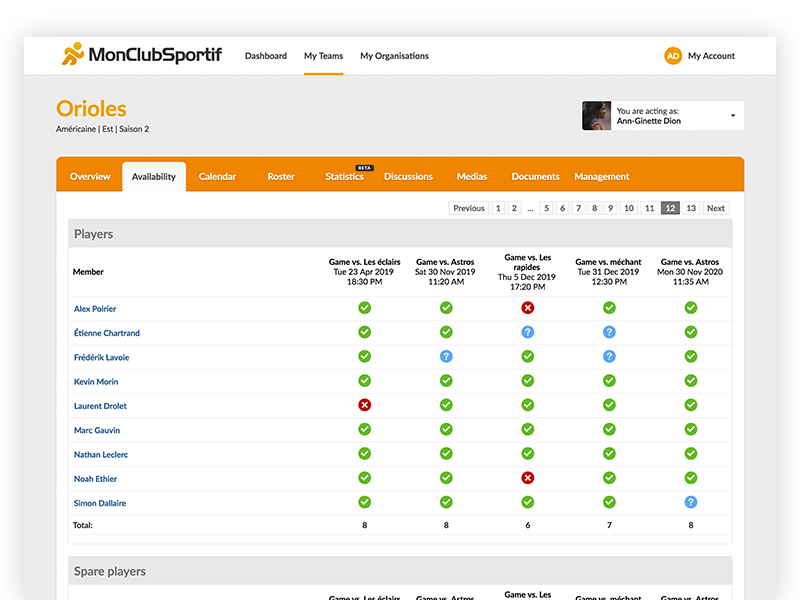 Through its various features, MonClubSportif brings considerable benefits to all team members: manager, coach, player or players’ parents! 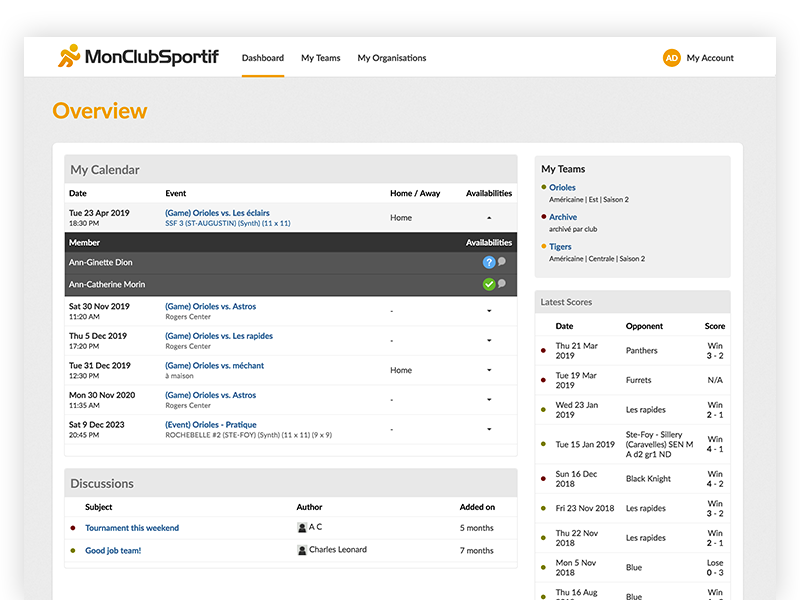 With the availability management tool, check your players' availability for each event added to the team calendar. Simple and effective, players can easily inform their presences in few clicks. The system works for you! Reminder for availability status 3 days in advance and reminder for events one day in advance. Spend less time on the phone, more time to develop your strategies! Register my sport team Free and without obligation! Updated in real time, it will keep you informed of team events and will give the location where the activity/game/event will take place. 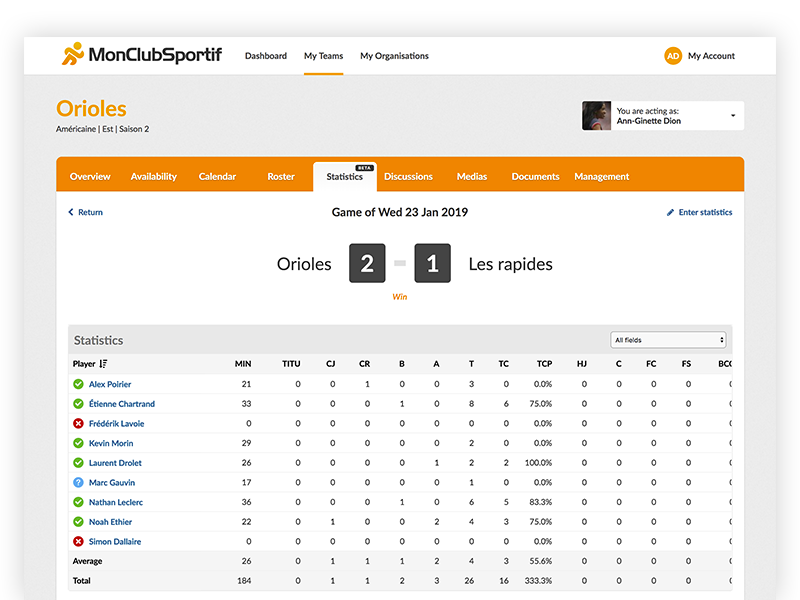 The Statistics feature allows you to follow your team and players’ progress. 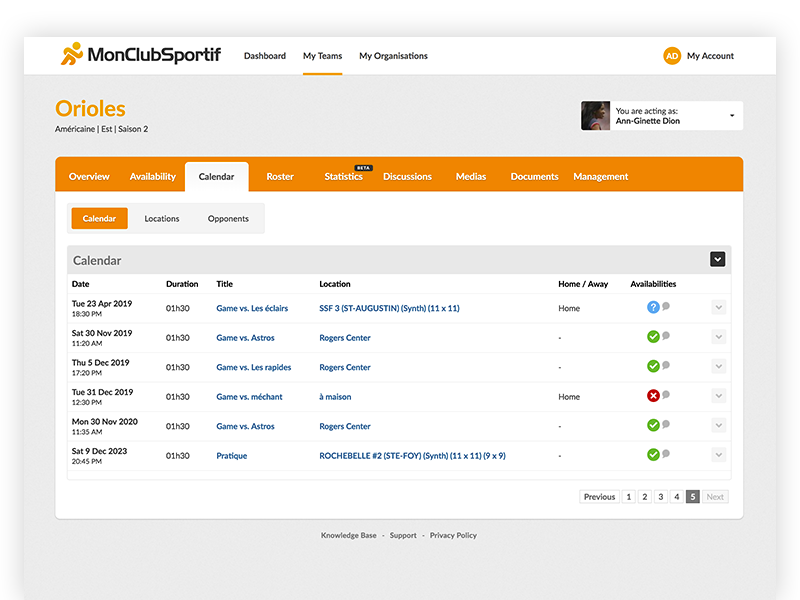 It provides you with reliable and customable information to improve your members’ performance and attendance. 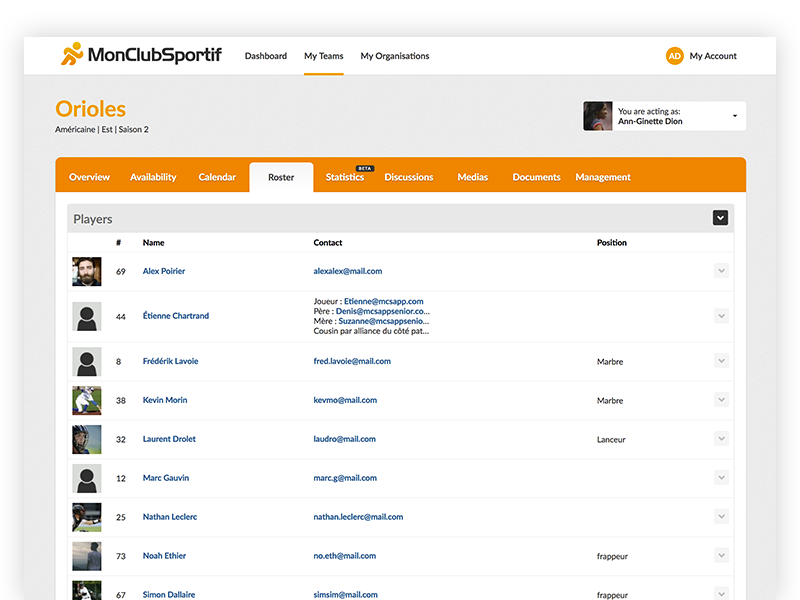 The players address book allows you to easily create each team members profile just by entering their email address. An effective way to consolidate all contact information in a single place. Great for teams of young players, all family members can participate. 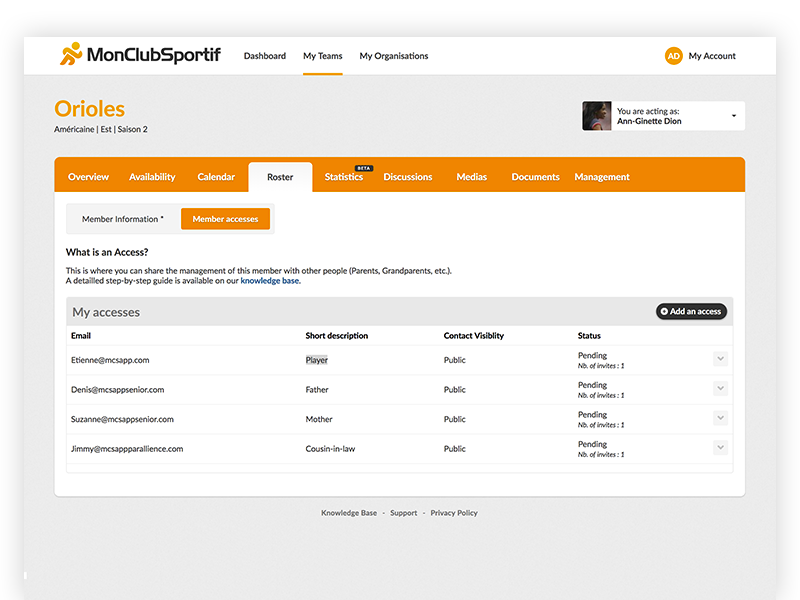 Parents and children can have access to team information with their respective accounts. 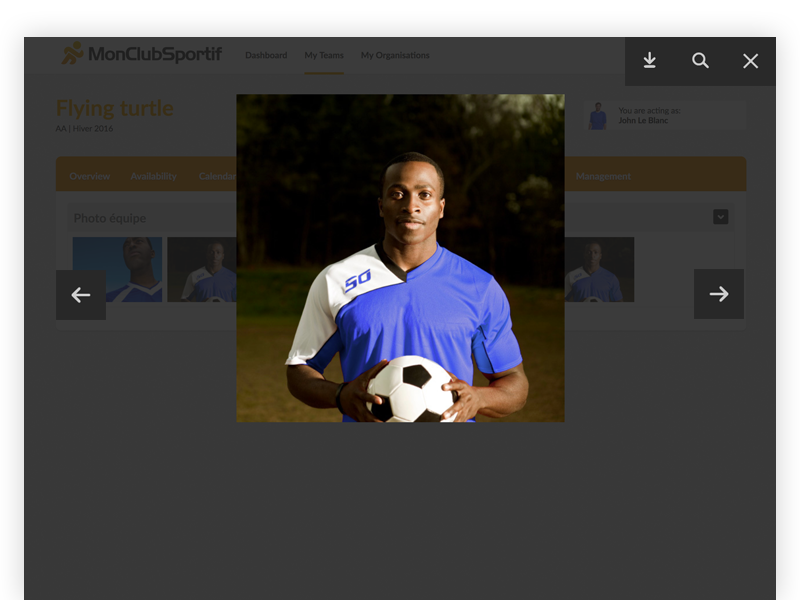 A player who belongs to more than one team can manage its availabilities and interact with them from a single location. Notify easily the team for a cancellation, an announcement or a message of motivation. 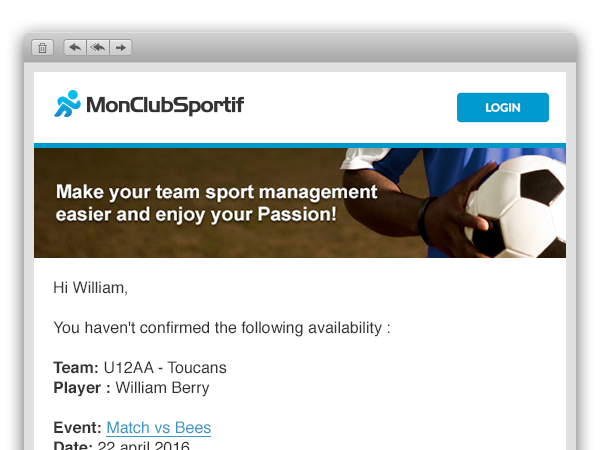 And without manually entering all emails of players and coaches! 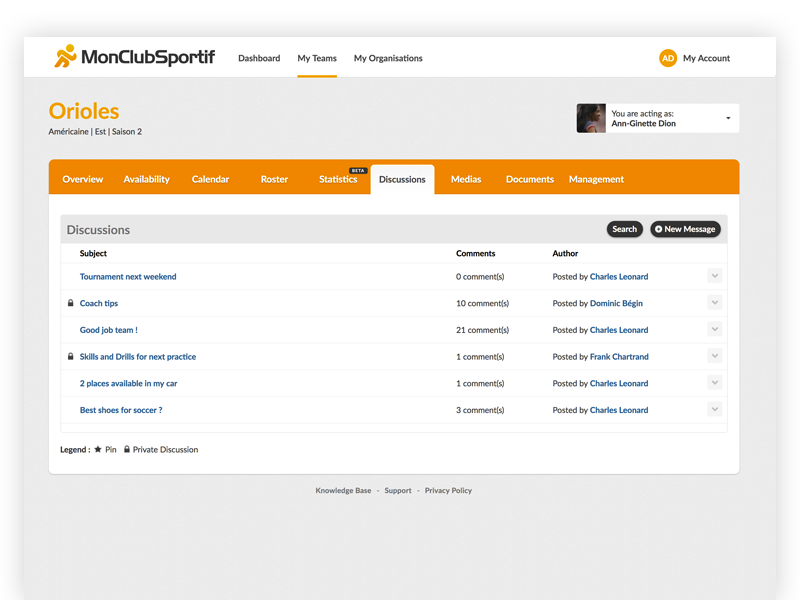 Your private forum is the perfect place to discuss past events or prepare next games tactics. Pictures of the team are centralized in a single place and all members can contribute to the album. 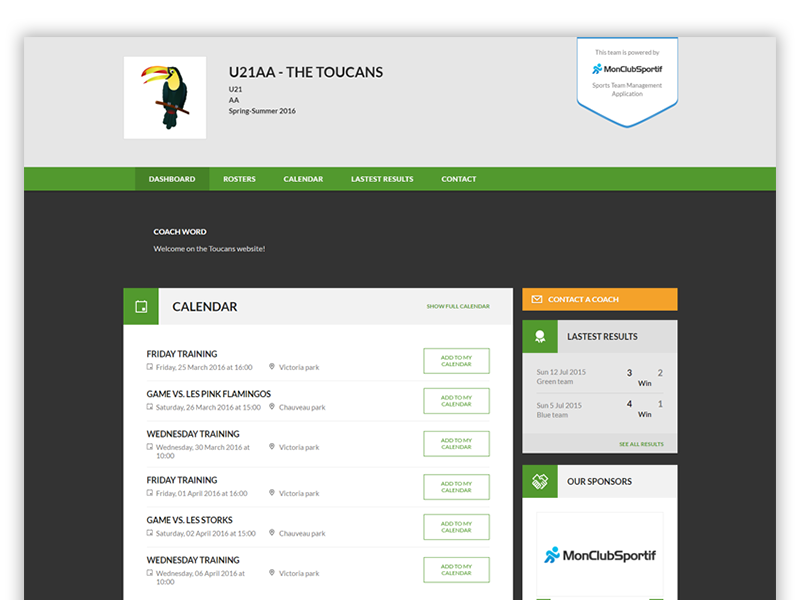 Create a website featuring the colours of the team and define the information you wish to share with your supporters such as the upcoming events calendar; the statistics of your team, the list of your team members, your sponsors, and much more!